We would like to thank everybody for their patience today! 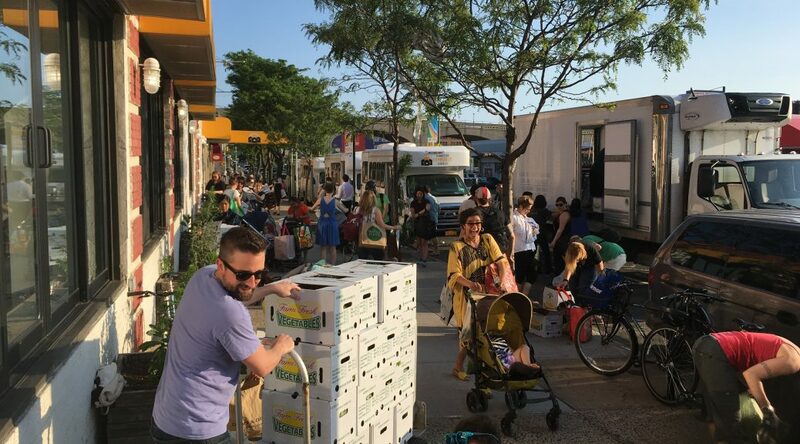 We didn’t get veggies into the hands of the people until after 6:30, but so many of you came together and almost every single share was taken home! More people came out today between 6:30 and 8 than the last two weeks, can you believe it?! Over 60 of us were hanging out on the sidewalk waiting for the truck, getting to know our neighbors. There were restaurant suggestions and recipe swaps happening and we even saw a few numbers exchanged! 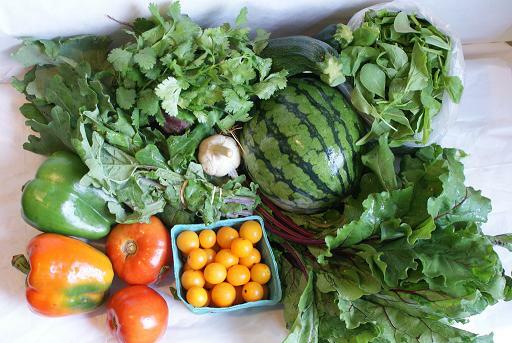 We really put the community in our CSA today, and I am so proud to live here in Sunnyside! Don’t forget next week we have a Lewis Waite Delivery, and it is the start of special products! If you ordered a fish, beer, kombucha or soap share, don’t forget to pick it up! Sign Up for a 2017 Summer Share NOW!!! Want to join the CSA? This is your chance! Time is ticking away, but you can sign up for one of our many shares RIGHT HERE!